Doing robberies of side businesses and stores in Red Dead Redemption 2 without getting a bounty on your head can prove to be a challenge. At first, it might seem as if nothing you do can prevent from getting a bounty in that region. Sometimes the bounty is bigger than money you made by robbing a store. Still, robbing side businesses and stores in RDR2 can be quite lucrative if you do it right. 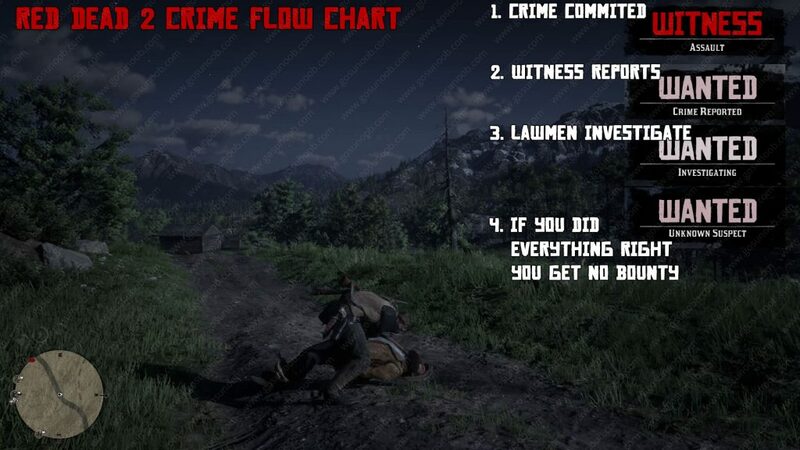 We’ll give you some RDR2 robbery tips that will help you not get a bounty on your head. We’ll also explain how to get rid of a bounty in Red Dead Redemption 2. How to Rob stores in RDR2? Early on in the game you can enter any doctor or general store and point your weapon at the owner. This will trigger the robbing sequence. Some shop owners will try and resist, which will force you to kill them. This makes noise and creates witnesses that will run to law enforcement members. Once this happens you have very little time to get the money from the cash register and leave the shop before the lawmen come. Even if you manage to avoid them they will do crime investigation and you might have noticed that they identify Arthur Morgan as the culprit, although you already left the town and the red investigation circle. This also puts a bounty on your head that you have to pay for. This happens because people in towns recognize you. How not to get a bounty when robbing a place in RDR2? You need to hide your identity well and leave the scene of the crime before the sheriffs come. People in towns in Red Dead 2 recognize Arthur Morgan. They remember the clothes he wares or the horse he rides. If you decide to be mischievous and put on your bandana when robbing shops and side businesses that might not be enough for you to avoid getting a bounty. Every good heist requires careful planning. It is the same in Red Dead 2. You want to use a horse that you haven’t used in the town you are about to rob. 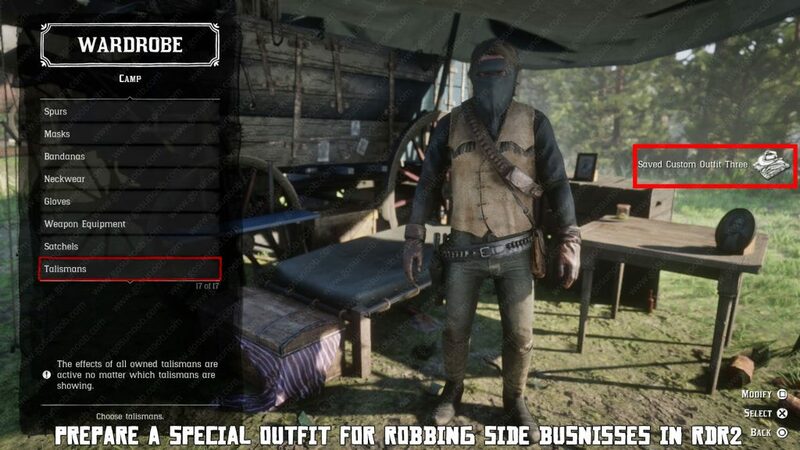 You want to prepare a special robbery outfit in your gang’s camp. It must be different from the one people saw you in when you visited the town and side business you want to rob. You have to have your bandana or mask equipped. You must not be seen by lawmen! Witnesses are fine, but you have to bolt out of there before people with badges arrive and see you. 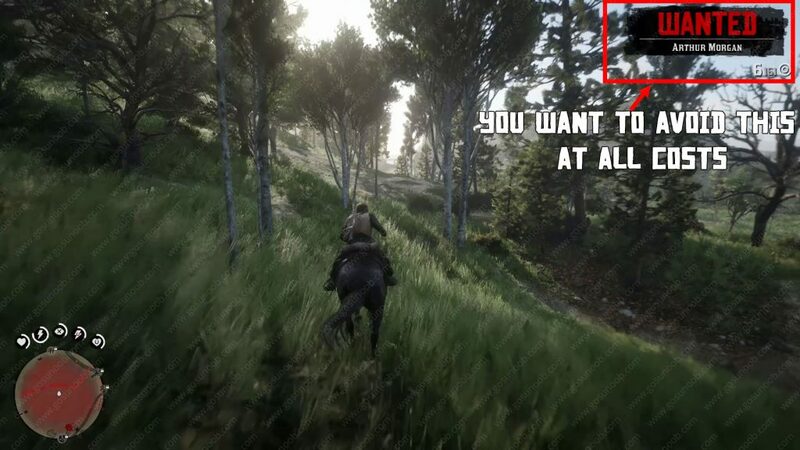 You need to escape the red investigation circle and you should be able to change your clothes and your horse outside town. You can then come back and act all coy because there will be no bounty on your head. When committing a crime there’s a set of things that happen. You do something bad, a witness sees you. They run to find sheriffs. Sheriffs come to the scene of the crime to investigate. If you were unmasked they will identify you and create bounty. You are still in the area? They see you and you get a bounty. If you avoid these two things you successfully robbed a side shop. Here’s a recap of steps needed to be done to rob side businesses in RDR2 without getting a bounty. I would like to thank reddit user MrFarter who first posted about his on reddit. Use a horse that you never used in the town you are about to rob. Change your clothes to something you never wore in the town with the side business you are about to rob. Use a mask or bandana to cover your face! Leave the place you robbed or committed a crime in before the investigating lawmen get there. Don’t let them see you! Remember, no one ever hung around the scene of the crime hoping people won’t identify them. Get that loot quick and scram! You should see in the top right corner of the screen Investigating – Unknown Suspect, flash without them identifying Arthur as the lawbreaker. Once outside town you can change to your regular outfit and go back into town to fetch your regular horse (just remember to remove the bandana). How to Rob Side Business in RDR2? 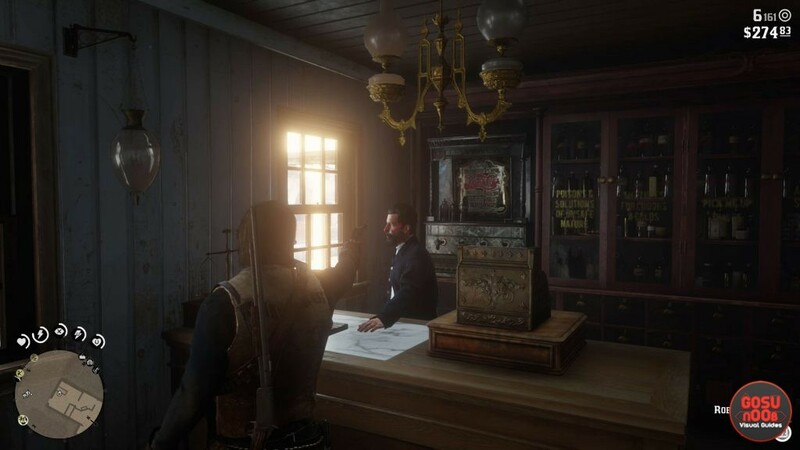 Several shops in various towns of Red Dead 2 have illegal side businesses that you can rob after you complete certain steps. There’s a doctor in Valentine, general store in Strawberry, Rhoades gunsmith and Saint Denis gunsmith. Each of them require you to interact with some locked door or window in the shop, hold the shop owner at gunpoint to open the side business door. You should deal with the enemies inside next. Quickly get as much loot as you can and then leave like the wind before the lawman come. Some side businesses can be robbed without getting a bounty. We’ll go through each one of them bellow. Valentine doctor’s side business is the first you’ll come across in the game. There are two steel doors inside his store. One is in the back of the store and one is in the back of the house, when you approach it from the outside. To be able to open the steel door at Valentine doctor’s store you need to knock on one of the doors. Go back to the Valentine doctor and aim your weapon at him. You will get an option to Rob Back Room. Inside are three O’Driscol boys that will become immediately hostile. Kill them as well as the fourth person that attacks you. Here is the trick. Pick up the money from the table and pick up the gun from weapon case quickly. There is a safe in the back room you can open with dynamite. The problem is the lawman will come rushing in because of the shooting. If they see you then you’ll get a bounty on you. If you fight them you’ll get a bigger bounty. There’s a fine line between robbing the doctor’s side business completely and getting a higher bounty on your head than the loot you got. 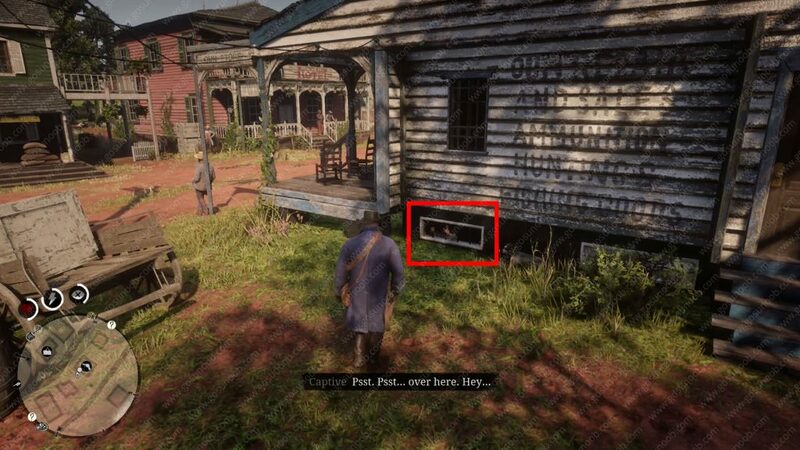 Bellow the entrance into the Strawberry general store is a basement window you need to peek first if you want to unlock the side business robbery. Once you’ve done this go inside the shop and threaten the shop owner by aiming your weapon at him. He’s going to open the door into his secret moonshine operation. Beside the items you will find inside you can threaten the shop owner some more for him to reveal a secret stash hidden behind a loose brick in the cellar wall. Rhodes Gunsmith Side Business – how to find and activate it? Find a small basement window on the side of the gunsmith’s house in Rhodes. Talk to the captive and then go to the gunsmith and aim your weapon at the shop owner. You’ll now get the option to be taken down into the basement. Interrogating both people in the basement will give some backstory. You are there for the loot though so pick everything that is not nailed down. Biggest reward is the Lancaster repeater inside a weapon case there. There should be no bounty unless you shoot someone. There’s an illegal poker game happening inside the gunsmith’s shop in Saint Denis. Go to the back of his store and you’ll see a locked metal door. Knock on it and this will unlock the option to rob the Saint Denis gunsmith side business. This robbery is doable without getting a bounty on your head. Aim your gun at the gunsmith and request he opens the backdoor. To not get a bounty melee attack the guard that opens the door. upstairs is the illegal poker room. Melee the other guard inside to avoid alarming the lawmen. Pick up the money on the table and threaten the poker players. This will make them unlock the safe in the wall. How to get rid of bounty Red Dead Redemption 2? 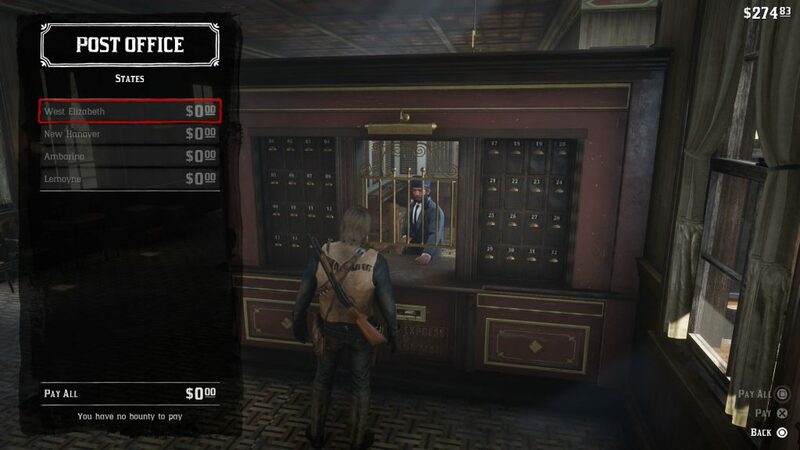 If you want to clear or pay for your bounty in Red Dead 2 you need to go to the nearest train station or post office and talk to the clerk there. They will have an option to pay for your bounty in any region of the game or pay for all of them. Sometimes heists just don’t go as planned and you get recognized by people. This places a bounty on your head no matter how well you tried to hide your identity. In this case the only way to not be pursued by lawmen or even posses and bounty hunters is to pay for your crimes. This resets your bounty and wanted level to zero. You can also surrender and stay in jail wherever there’s a bounty to remove that bounty. Depending on how much money you have, you’ll lose a chunk but usually less than the bounty, but still better to do so after you’ve spent most of your cash if trying to remove a large bounty. To surrender, make sure your weapons are holstered, allow lawmen to see you, get off your horse if you’re on it, and don’t move. Hit the target button to target a lawman and you’ll see an option to surrender. Still don’t move. You’ll go to jail and go through a short cutscene, lose some money, and the bounty will be lifted. To ensure a really low bounty at the Valentine doctor side business, equip your bandana before you enter the building, then silent kill (bow, etc) the O’Driscoll boys and lady and finally, lasoo the lawman that investigates. No more lawmen will enter, giving you time to blow the safe and then escape. Unfortunately the law will always be waiting out the front. I did this and only had a bounty of $13.50.